31-W Insulation provides garage door installation services for homeowners in and around Jacksonville, Florida. 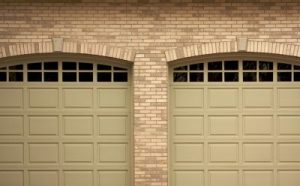 If your garage door is damaged, worn out, or creating an eyesore, it’s high time to have it replaced. As the largest moving component on your home, proper functionality of a durable garage door is essential both for the safety and security of your family. At 31-W Insulation, we provide and install top-of-the-line garage doors from the leading manufacturer Amarr®. No matter which options you choose, you can expect 31-W Insulation to provide you with professional garage door installation services at your Jacksonville, FL, home. Our factory-trained technicians will ensure your door is properly installed for a beautiful finished appearance and flawless functionality. Our team is completely dedicated to your satisfaction, as evidenced by our A+ rating with the Better Business Bureau. We won’t rest until you’re happy with your new garage door. If you’d like to learn more about our garage door products and installation services in Jacksonville, FL, contact 31-W Insulation today.